Greet guests with a warm welcome when you hang these luxurious lights. Commercial quality warm white LED icicle lights are highly durable, energy efficient and maintain professional display even after years of rough handling. Warm white icicle lights provide ambient lighting indoors and white wire blends flawlessly behind sheer fabric to create stunning illumination during special occasions. Had these lights for two years now. Every bulb is still working. They are up each year for about 20-25 days and are on for 8 hours each night and subjected to some pretty strong winds (40 - 45mph gusts) and temp range of -15F to 50F. They are hung from a gazebo roof. I especially like the color, they are not the blue-white you get with some LEDs. Product delivered on time and in excellent condition. All the bulbs worked when the strands were protested. Product was exactly as described so the required length of lights worked out exactly. Recommend Christmas Lights Etc. Great product, professionally packaged and delivered quickly. When I called on the phone for assistance, the representative was very knowledgeable, professional and had a caring personality wanting to ensure that I was completely pleased with my purchase. This year, I purchased some icicle lights from Christmas lights Etc. that seemed a little pricey, but the quality is a lot better than what you find locally. They have been up for about 2 weeks in rainy weather , they still work and they look nice. Thanks for making a quality product. Delivery was fast, lights and holders were as shown and described. The quality seems very good - so far everything worked and the holders made installation relatively easy. This was my first experience putting up lights on my house, and they look lovely- so pleased! The product is made very well. The lighting is warm, however, LED lights are quite bright, so we put a dimmer on them and are very happy with our new icicle lights. Wish there were more lights on each strand, somewhat sparse. I like these lights. They are not as bright as the cool white lights, but not as dim as the old mini light type. I think they are just right and I like that they are LED. The strings are very sturdy and look like they will last a long time. The reason I gave 4 stars instead of 5 is that the bulbs are not replaceable. Of course, if one goes out the rest of the string will stay lit. Overall, I am very happy with the lights and Christmas Lights Etc. I highly recommend both! These are far from warm, more like a bluish white. Much better than the lights I was buying in most retail stores. I can plug in "44" sets end-to-end, which is amazing! The warm white IS warm white, not that blueish LED white. They seem very sturdy too! Warm white lights are bright white. If you are looking for a traditional lighting effect, you will not get it with these lights. Excellent product. The warm white color is very soothing. I particularly like being able to string together so many light sets. It was a gift for my aunt and she was very pleased. Thank you. These lights are the best I have ever bought. You can hook so many together! They stood up through major flash flooding, rain and wind. They are worth every penny! Now, I need to buy a bunch of multi-colored icicle lights just like them! This company has great service and the lights were great for my project. Attractive, reliable product at great price with fast shipping! Well made product. Easy to work with. Look great on the house. Many, many compliments. These are nice. The drops are spaced a bit further apart then the last ones we had, but they look good. Drop lengths are random and good lengths. These are quite bright. While not exactly the same color as the incandescent lights we have up, they look very good with them. The warm white was the way to go for us. The icicle Lights were just what I expected. Thank you! Beautiful lights that look exactly like incandescent. 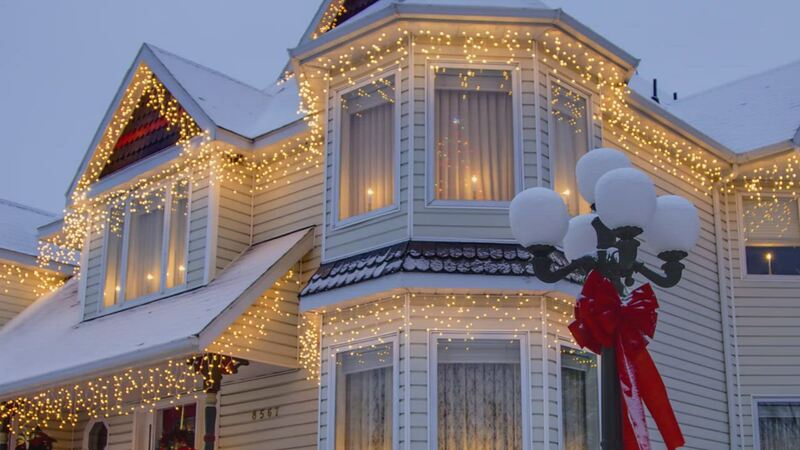 Lights up our house with a cheer that makes you smile. I received my shipment earlier than expected, which is always a good thing! The lights have only been up for a few days, but they look amazing and are extremely bright. They seem to be a quality product, and I will definitely purchase from here again in the future. Perfect product at a great price. Arrived on time and worked perfectly. Exactly what I wanted. Love the brightness! Reviewed by Sallie L W.
I ordered several strings of these lights last year. The lights all worked and hung down perfectly. I ordered more this year. Best lights ever!! Purchased these LED Warm White Icicle Lights. Arrived on time. High quality wire and lights well worth the price. Very happy with these lights. Brighter than my old fluorescence ones, but not the "blue white" color most of LED lights. I replaced my incandescent icicles with these LED icicles. I am very happy with the color and looking toward to a lower electric bill!! Received in good condition. I am excited to save electricity when I use these lights next Christmas. With our electric rate, I figured that the 20 stands that I bought will cost a total of 8 cents to run for every 10 hours use. Wow! Very satisfied and great price. Love these lights. The spacing is nice and there's not a lot of extra cord, so you don't have blank spots. We love our new lights! The are just what we wanted! I would order these again! I was worried about switching to LED lights as a lot of reviews posted on the large hardware store chains mentioned that the color was not consistent between identical strands of the same product. These are and look fantastic on the house. I am however in the dog house with my wife as the 23 strands I purchased were about 7 shy of what I needed. I will be placing a second order shortly. I was looking at LED lights to replace the classic incandescent icicles for our roof line. The similarity of color to the incandescent was a must. After calling Christmas Lights Etc I was told that the "warm white" is just like the incandescent bulb, and they had no complaints nor returns because of the color. Well, it is close. But definitely not the same. My neighbor has bought some LED warm white icicles that are absolutely identical to the classic bulb, but I could not find them. All considered, it is a great product, with a nice warm hue compared to the classic bright LED white, and we received compliments from all in the neighborhood. So, I guess this icicles are here to stay! Also, the shipment from Christmas Lights Etc arrived a day earlier than promised! The lights are nice, but rather costly. The lights are described as warm white, but they are not as warm as regular incandescent lights. They look good, but don't make the room glow. The string length is also pretty short for price; however, they're very durable and use less energy, so they're worth the price. Crystalline bulb texture is nice. Prompt delivery. I love the warm white icicle lights - white is difficult to find and these strings are such better quality than found locally in the department stores...I am a loyal customer and will continue to replace my older strings with ones from Christmas Lights, Etc! The warm light is very close to traditional icicles. I am able to light up my entire front porch using attached sets and only 1 outlet. I recommend for ease of use and energy savings. Better than description. The warm white lights are so pretty. Ordering was very easy. The quality the lights look good and am looking forward to installing them on the house this x-mas. Thank you.